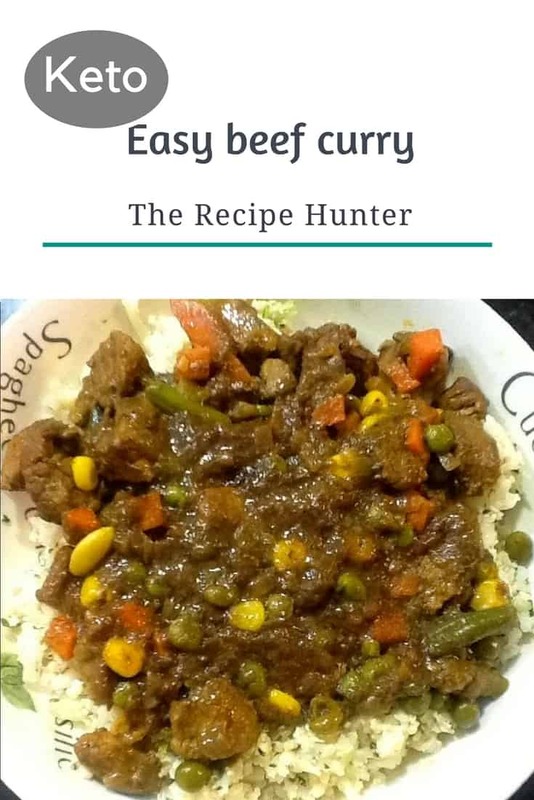 With the temperatures hitting -18C tonight I decided on a quick and easy Keto curry. 1 Tblsp ( more depending on taste and spice requirement) store-bought curry powder. Mixed frozen veg if you want extra texture (Note it ups the carb count so be aware if you are starting out or are super keto aware just skip them). Alternatives are broccoli and asparagus and the red/yellow/green pepper. As they should be fresh add them just before serving to maintain crisp. Chop onion and fry until translucent in a bit of keto fat (beef tallow I had). Add Thai spice and curry powder to fry up for about a min. Remove to a dish on the side. Fry up beef pieces till golden brown, in small batches to prevent ‘boiling’ the meat. Add the batches to the bowl of onion/curry mixture. When done with browning the meat, add the lot back into the pot/pan adding the bone broth. Bring to a simmer and add frozen vegetables. Simmer to reduce the liquid a little (about 5 min). Thicken the liquid with ½ teaspoon of psyllium husks sprinkled in. Simmer a bit till the liquid just thickens. I mix a ½ cup of hemp hearts into the cauliRice to add a nutty texture.